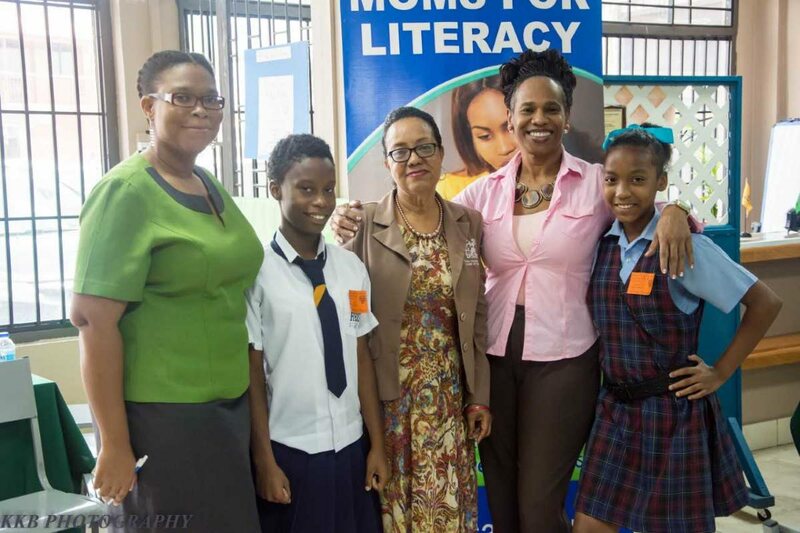 CREDO Foundation for Justice assistant co-ordinator Calota Escovalez, left , Harmony Williams, founder of Moms for Literacy, Amber Gonzales, Credo's programme co-ordinator Carlene Donald and Karisha Williams at the award ceremony on September 14. AMBER GONZALES, founder of Moms for Literacy, expressed sympathy for teachers who inherit non-readers into their classrooms. Gonzales, who was speaking at Moms' second annual awards ceremony at its office in San Juan, added that the education system is then filled with frustrated teachers focused on the curriculum and not individualised teaching. The ceremony was a collaborative effort between Moms and Credo Foundation for Justice, which was represented by its programme co-ordinator Carlene Donald. In addressing the modest gathering, Gonzales admonished parents to take back the mantle and be "their children's first teacher". "We can do it, we must do. Read to your babies..teach them to read from even before they take their first steps," pleaded an impassioned Gonzales. Moms, a non-governmental organisation (NGO) which promotes individualised assessment and tutoring, also offers teacher training to interested educators and has done so for some 120-plus people since 1998. Gonzales, who will soon launch the Teach Your Toddler programme, said teaching a child to read should start from as early as six months old. Gonzales also recalled having seen a brain-damaged young woman, in the US, utilise reading and literacy to enable her to graduate from university. "In my time we had only one TV station and when I heard that others were going to be started. I panicked..I said Oh Lord..more TV for our children. I knew I had to mobilise, I had to do something, cause our children would be placed in an even more disadvantaged circumstance," eh said. She believes, based on research outlined in the many related books she has read, that a child with a "TV brain" learns at a different level to the child with a "reading brain." Retired accountant and Moms advocate Savatri Dwarika, who was tasked with delivering the organisation's overview, also expressed gratitude to Moms supporters. Programme co-ordinator Trevor Oliver spoke via video conferencing on the initiative –Let's Collaborate towards a Reading Nation. Oliver stressed the need for all to see the importance of literary competencies in children at schools and across the nation. Only in July, Oliver made a clarion call via a letter to Newsday, where he listed "poor literacy skills as one of the main contributory factors in relation to students' underachievement in the recent SEA examination." Moms entertained the audience with a compelling performance from Khadeen Neptune, 16, a form four student of St Charles High. She belted out the words to Andra Day's I'll Rise Up and earned a rousing round of applause. Two organisations and one individual were then presented with tokens of appreciation for their contribution towards the promotion of reading and literacy. For the Love of Reading TT, a mother-daughter establishment which has opened four venues across the country, for readers to access free books or donate, was recognised for their efforts. The venture is based loosely on a book exchange which the pair, Najmie Khan and daughter Aara Cleghorn, saw being successfully managed in the US.To date, over 4,500 books have been shared through this exchange system. 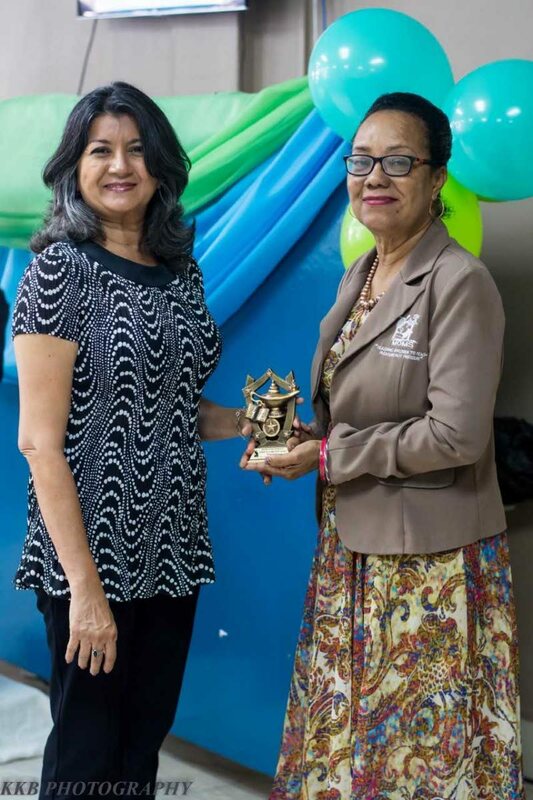 Suzette Cadiz collected on behalf of the Let's Read organisation, while Celia Scott, radio personality and literacy advocate, accepted her award from Gonzales. Gonzales also presented the "Amazing First" award to long-standing supporter Joy Braithwaite. Ashley DeLarosa, a tutor for Moms, was shown appreciation by student Isaac Questel, 12, who has spectrum five autism. The event was chaired by Donald, who was accompanied by two of Credo's members, 11 year-old Karisha Williams and Harmony Williams, 14 (no relation). The pair, who attends Bethlehem Girls RC and Russel Latapy Secondary respectively, said their work has improved and their love for reading peaked since starting Moms' reading programmes. The Trinidad and Tobago Unified Teachers Association (TTUTA) was represented by Darren Lee Chin. Moms, whose tag line reads, "teaching children to read with pleasure ...not pressure", was founded by Gonzales in 1992. Gonzales and a group of mothers shared the sentiment that many children were leaving the primary school system unable to read, write or comprehend efficiently. Its first programme, Remedial Reading, targeted children who were at risk of becoming illiterate adults. The programme not only teaches children to read, but seeks to motivate them, while building self-esteem and confidence.